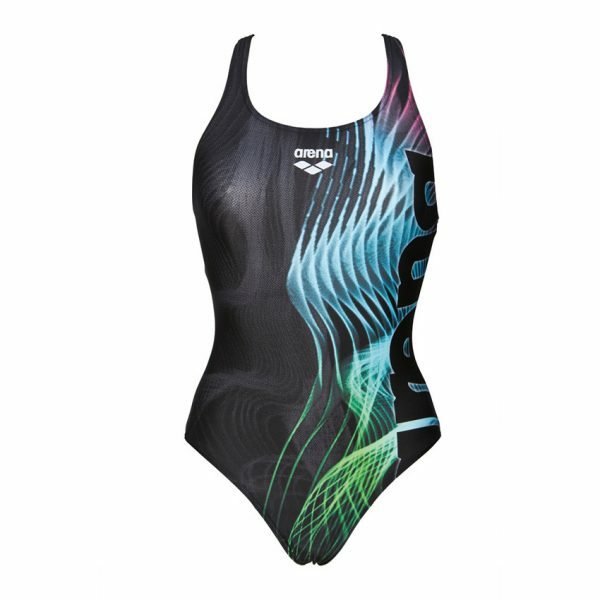 The black Shades swimsuit has a spirograph inspired design on the front and a plain back. The colours move from green through to blue and to a touch of pink at the top. 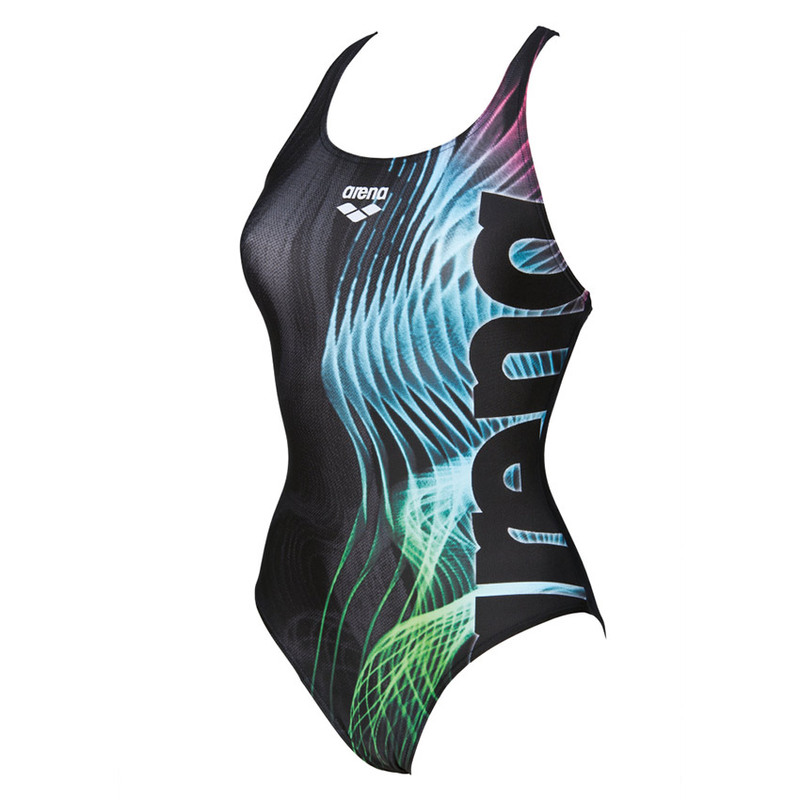 The patterns cuts down the front of the suit which is both flattering and slimming. 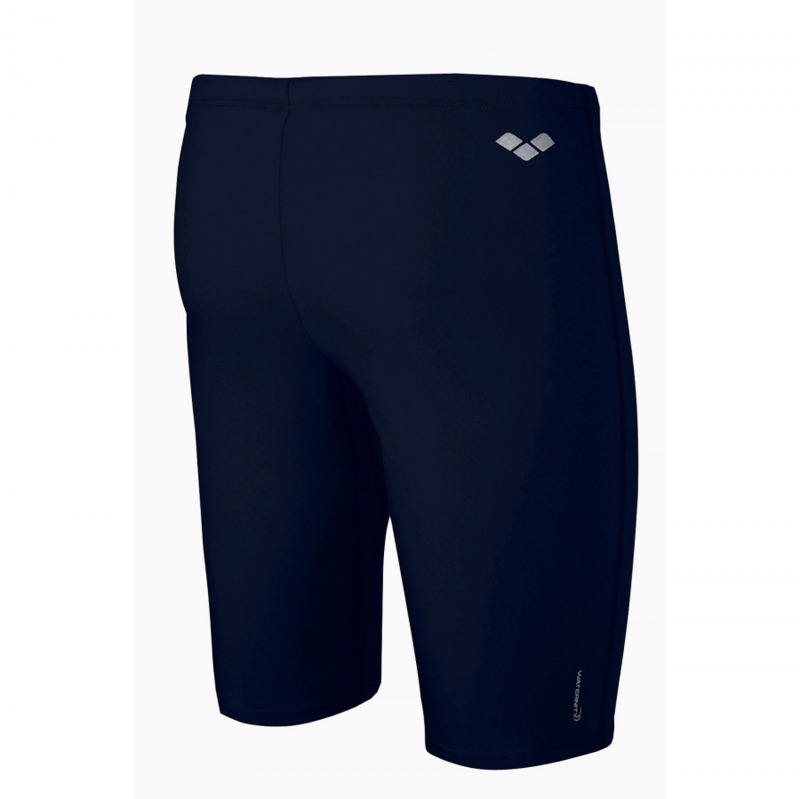 The swim pro strap style provides a perfect fit and allows great freedom of movement. The MaxFit material used for the Shades swimsuit has been developed for its softness and elasticity. 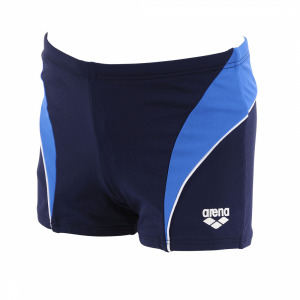 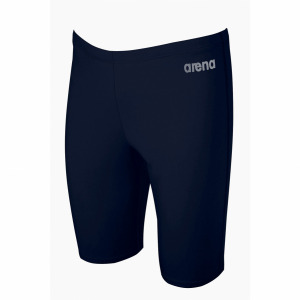 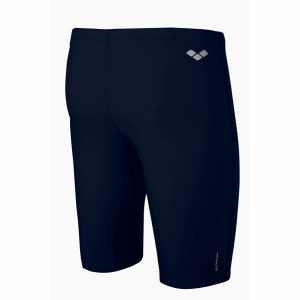 This combined with the built in chlorine resistance creates a swimsuit which will look good time and time again. 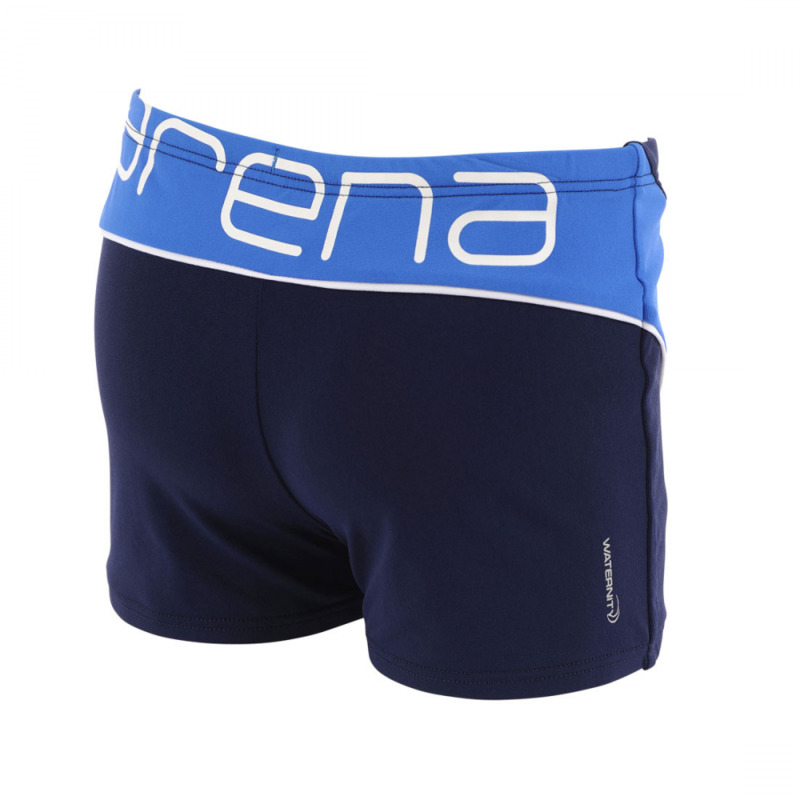 Why not combine it with one of Arena’s wide range of bags and rucksacks.